Thank you to my team & supporters. Without you this would be much more challenging. Founded in 1972, Central Park Track Club has been on the cutting edge of the sport ever since. Sponsored by New Balance, CPTC sent four Olympians to the London Games and dozens of athletes to national championships and Olympic Trials. 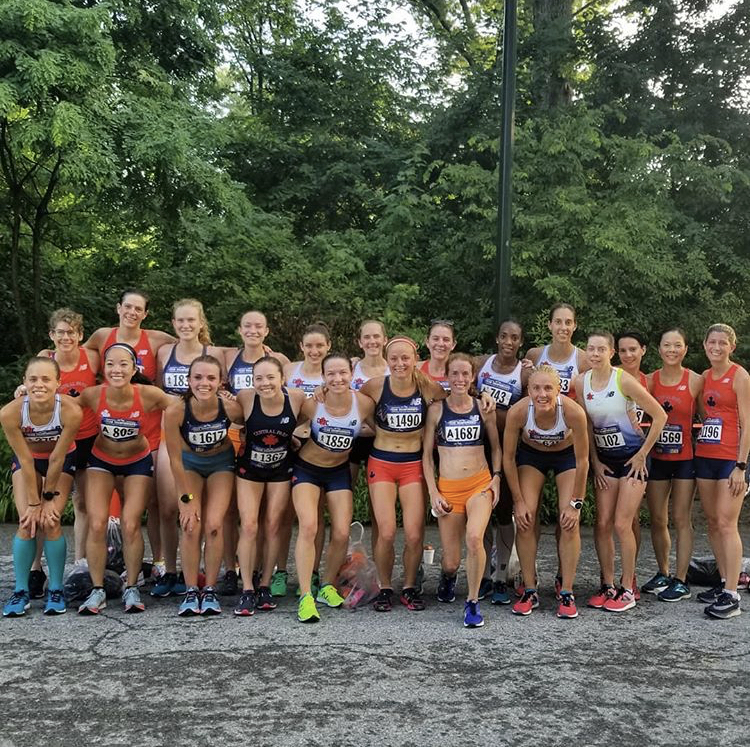 It also has won four national club track titles and been one of the most competitive clubs in New York City since its inception. CPTC New Balance is now celebrating is 40th Anniversary. CPTC New Balance is a designated USATF Elite Development Team and a registered 501(c)(3) non-profit organization. I joined CPTC New Balance in April of 2017. I am very grateful to have this amazing team of track, road & cross country runners to train with on a regular basis. I love that ability & age run the full spectrum. There is never a lack of inspiration or wisdom to be found. Please check out my stats page for my results. Let me know if you have any questions about joining our club. Gluten Free Honey Stinger Waffles are my favorite snack because they digest quickly and I can eat & run. Lots of great GF flavors to choose from. I receive a discount on my purchases as an ambassador. After 2 c-sections & a hysterectomy my core started to separate, better known as diastasis recti. I highly recommend their core program. I wear tested their program in exchange for my story as an ambassador. Like most runners I have my arsenal of stretching & rolling devices but none of them go as deep as my roll recovery. I was lucky to know some friends and got my hands on a roller as an ambassador. My stomach is pretty sensitive & I don’t consume much sugar. I sweat a ton & even with a great diet I need extra help. The bicarbonate also settles my stomach. Taking pictures is how I remember & share my journey. I want to be able to look back with my family someday and remember how tough I was. I’m a mom & a runner. My life doesn’t work without caffeine. I love my coffee but sometimes coffee isn’t an option. I love the pick me up without the run to the potty. Compression sleeves are essential for my recovery. As I’ve gotten older my feet tend to swell & my calves definitely take a pounding on the roads. These make my feet & legs feel happy. I am an ambassador for the products above. I want to be honest about the products you see me using. I only talk about products that I use and love. I am not a paid professional but I have received product or discounts as an ambassador. These discounts help offset my training costs. I am incredibly thankful for their support. With the exception of Mutu who was kind enough to hear my frustration & reach out to me on Twitter, I reached out to the these companies to apply to be an ambassador for their products because I love using them. While my dream as a kid was always to be a professional runner, I’m not there yet but never say never. I believe that my generation of runners needs strong, helpful, and kind role models that are their own age and the younger generation needs someone to look up to, to know that getting older does not mean you have to stop doing what you love.